Event professionals spoke to C&IT about Google Glass' unconvincing stint in the events industry and what the future holds for the product. Google announced yesterday (15 January) that it is ending sales of its first Google Glass eyewear concept, but remains committed to 'future versions of Glass'. Imagination had been protoyping the product but didn't get far beyond the early stages, having identified numerous restrictions. Anton Christodoulou, chief technology officer, said: "The battery life was appalling. We explored Google Glass and started trying to link it into our events but we never had that 'eureka' moment. "There were also issues with connectivity. One of the big challenges with most events is unreliable wi-fi, which could have cause additional issues and limited what we were able to do with it. "If you're going to have a bank of Glasses for an event, and you would need to have them on rotation so that they're constantly charged, and at roughly £1,000 each, their use in an events space has to be compelling." Despite this, Christodolou is optimisitc about the future of Google Glass and believes the industry and tech-lovers everywhere haven't seen the end of them. "At this stage, we didn't find it a compelling opportunity to create experiences. However, if they brought out a new version we would definitely look at how we could implement it into events. I'm glad it was created and I expect Google to solve these problems." CEO of Adding Value Randle Stonier added that not receiving any faith from major brands meant it never gained any traction in the events industry. "Google Glass was never adopted by any major brands or event production agencies, so it didn't have any traction. It was a technical tool that was in search of a solution. "Is it a tech device where a delegate can immerse themselves in it for ten minutes or is it a natural extension of human behaviour? It took a long time for smartphones to become mainstream and ubiquitous but it has now become an extension of human behaviour. 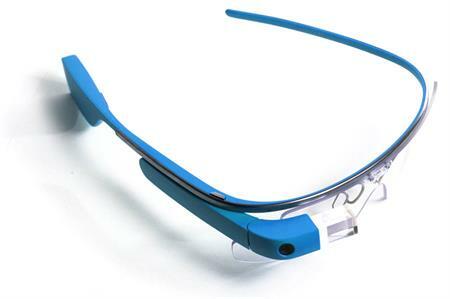 Until Google Glass knows its positioning it won't succeed." Jonny Edser, managing director of teambuilding specialist Wildgoose Events said that the agency made the decision to distance themselves from the product and wait and see how it panned out, which some would argue was the smart move. "We couldn't work out how it was going to add value to events in terms of return on investment and until the price dropped and it became more mainstream we didn't think it was worth investing in. "There was definitely a gimmick factor involved because most people won't have tried out Google Glass so they were naturally intrigued by it. Google Glass will take off but maybe people aren't ready for it now."